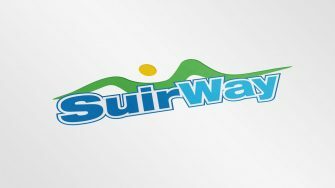 Established in 1928 and based in Waterford, Suirway is one of the largest coach hire and local route operators in the south east. When it first put a bus on the road, it was the most up to date of its time, and now 80 years later, its current fleet is still the most advanced in Ireland. They have been loyal clients of ours since 2008, when we designed their new logo and first website. It is a testament to that first website that it lasted as long as it did, but given the fact that most people now look at the Internet on their smartphone or tablet, the time had come to build a mobile-friendly, responsive version. We created their logo in 2008 which goes to show how good design doesn’t date. We also came up with the tagline ‘going your way’ which is as apt today as it was back then, and always will be, as they continue to evolve and enter new markets. Suirway have been dealing with Passion for over 10 years. They have just completed a complete makeover of our website and have done a great job, yet again. The re-design has completely modernised our site, made it mobile friendly and continued to support our brand. Passion are a great team to work with!